Google has just announced the Fiber Phone, confirming rumors that the company would be adding the new telephone service to the existing Fiber high speed internet. And no, this isn’t a copper landline service in the traditional sense. It’s a modernized, use-it-anywhere service that borrows a lot from Google Voice. Fiber Phone costs $10 per month, and gives you unlimited local and nationwide calling. 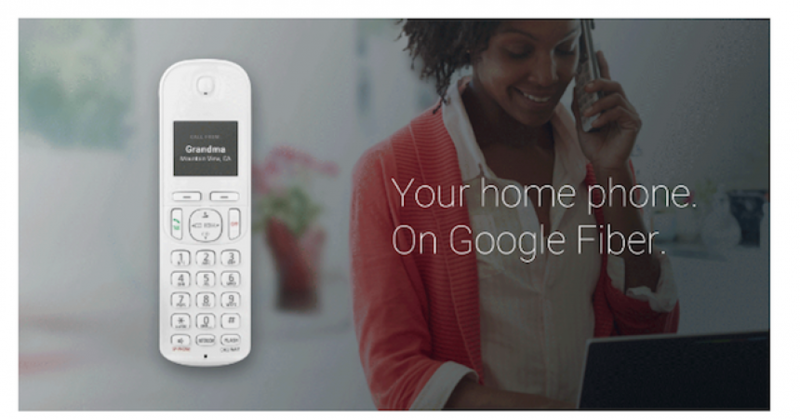 When you need to place an international call, the rates are identical to Google Voice. Fiber Phone borrows other features from Voice, too. Your “Fiber number lives in the cloud,” according to Google. “You can use it on almost any phone, tablet or laptop. It can ring your landline when you’re home, or your mobile device when you’re on-the-go,” Shriver-Blake said. By contrast, my TV at home (Cablevision) can tell me when someone’s calling, but I can’t answer those calls with my phone or tablet. Fiber Phone isn’t launching in all of Fiber’s current cities; instead, it’ll be rolling out in phases. Interested users can sign up here, though you’ll need a “Fiber Phone box” that works with existing handsets to place calls at home. The introduction of phone service (and thus a potential triple play package) makes Google look a bit more like your typical cable provider, but we doubt Google will push it on customers to such an aggressive and annoying extent.